New regulations introduced under the Tribunals, Courts and Enforcement Act require all Enforcement Agents to hold a level 2 or higher qualification. The Level 2 Bailiff training course allows the trainee to learn the basic skills for becoming an Enforcement Agent (Bailiff). The course is run over 2 days and addresses the full level 2 syllabus for obtaining a level 2 in Taking Control of Goods. 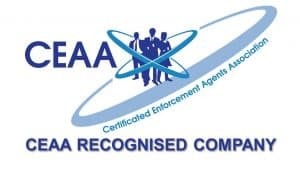 Successful course attendees will learn the knowledge to be able to pass the exam which will meet the requirement set down by law to become a Certificated Enforcement Agent. As a general rule, a level 2 qualification should have 40 guided learning hours and only about 16 hours of this would be done in a classroom. The other 24 hours should be made up of pre-reading, revision and where possible practical experience. 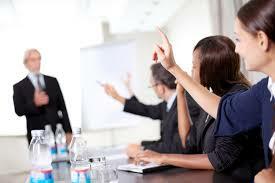 This course involves some pre-reading to gain prior learning before attending the classroom-based part of the course. There are reading materials for revision based learning hours. We are often able to provide some practical training shadowing an existing experienced Certificated Enforcement Agent, at an extra cost. Please speak to your course tutor after the course. Including structure, functions of the role, terminology used, liaising with the other services including the Police, how and what fees are charged, and handling payments. Including understanding the powers and duties placed by Tribunals, Courts and Enforcement Act 2007, the Data Protection Act, Human Rights Act, the statutes that govern using Enforcement Agents including Magistrates Court Act, Traffic Management Act. How to take goods into control, exempt goods, rights of entry and re entry, third party ownership and disputes, documentation that needs to be used. Process for removal of controlled goods, documentation to be completed for this process, methods of sale, implications of sale for all concerned. How to give good customer care, requirements of the National Standards, recognising and dealing with vulnerable people, dealing with complaints, times and hours of visits. How to recognise conflict, how to diffuse conflict situations and how to reduce risks with conflict. This is a TWO day course to prepare you for the Level 2 qualification examination. The course cost does NOT include accommodation at the training venue. The course includes one exam which is done on the final day of the course via our awarding body STA Security Training Authority. Any exam re-sits are charged at £80 plus vat. What is the total cost to become a Certificated Enforcement Agent? The total cost to become a Certificate Enforcement Agent is around £1108 for two years. Costs shown are an estimate and inclusive of vat where applicable. They do not include cost of travelling and accommodation when required for the training course and the exam. There are also on-going costs for the renewing of your certificate and bond. We do exams on the final day of our course via our awarding body STA Security Training Authority. If you need a re-sit you can come to the next course and re-sit the exam, or you can take the qualification through the Institute of Credit Management. The ICM Level 2 Award in Taking Control of Goods is Ofqual accredited and approved by the Ministry of Justice to meet the certification requirements for enforcement agents. ICM use Pearson VUE to provide the examination centres. Assessment is by computer-based multiple-choice exams held in centres in most towns and cities throughout the UK. Institute of Credit Management website. Why take the IES course? ICM offer an on-line learning package, so why take this course? On-line learning is one-way. You read the materials. But what about when you have a question? Do not understand something? On the IES training course we will explain the material to you and answer any questions you may have. It is two-way learning. If your still not convinced think of it this way. If you wanted to learn to play football would you buy a book / take an online course, or take a few lessons with Mrs Jones the local sports teacher? Or would you prefer to take tuition from David Beckham or Ashley Cole? The course is run in London, Stoke-on-Trent and Darlington.